Shopping for Halo Model Kits? Create your hero from the ground up! 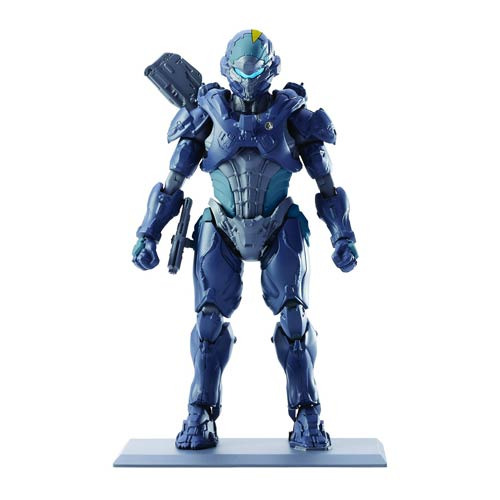 This Halo Lieutenant Commander Locke SpruKits Level 2 Model Kit is assembled by you with no paint, glue, or cutting required to build a realistically detailed figure with true to life action hero movement and enhanced articulation! These kits allow junior engineers to experience the joy of building as they snap together and assemble the various pieces to build their favorite characters and have the pride that comes with being able to say "I built," rather than "I have." Fans of action figures, collectors and model builders will absolutely love the exciting innovation and detailed SpruKits figures they are able to easily build, pose and display. What makes a hero? You do!